SUBSTANCE ABUSE ASSESSMENTS AND EVALUATION SERVICES – Counseling and Therapy (Counselor | Therapists) serving Gainesville, Alexandria, Manassas and surrounding Areas – in Northern Virginia. The Life Enrichment Counseling Center provides substance abuse assessments and evaluations for drug and alcoholic addictions. Services may include evaluation, educational information, and psychotherapy sessions. Services may be requested by the schools, families, attorneys or the court system. Evaluations may be brief or comprehensive as needed. Our Certified Substance Counselors will be able to monitor compliance with treatment goals or court orders. Assessments are provided for adults to evaluate their substance abuse or alcohol use. The request may be made by the individual due to issues within their life or family or when it’s required by the court system. The Counselor will evaluate the person’s drug or alcohol use and assess how it’s affecting him/her psychologically, medically, social, legally or financially. The assessments are individualized to meet the needs of the person. Adolescents may need to be evaluated due to problems at school or home directly related to substance use. The Substance Abuse Counselors will evaluate the extent of the drug use and how it impacts their educational, psychological and social development. At times, the court system may also be involved. Each assessment will be based on an individual plan to meet the needs of the adolescent. The Department of Transportation (DOT) mandate that any person who possess a Commercial Driver’s License (CDL) and has had a positive drug test for certain drugs on a random test, must be evaluated with 48 hours of the results and is no longer allowed to use any commercial vehicle. These random urine drug screens or breath tests (for alcohol) are required by the DOT for any employer who uses CDL drivers. A face to face meeting is required and similar assessment are given as with a regular substance abuse evaluation described above. Within 48 to 72 hours from this evaluation a report must be submitted to the companies Designated Employee Representative (DER). With this type of evaluation, treatment is mandatory. The Counselors are certified through the Department of Transportation to provide these evaluations. Assessments are usually recommended by attorneys or by the Virginia Alcohol Safety Action Program (ASAP). 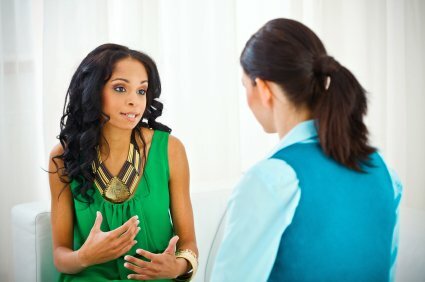 The Substance Abuse Counselor will perform an in-depth personal interview using various assessment tools such as the Substance Abuse Subtle Screening Inventory (SASI), the Michigan Alcohol Screening Test (MAST), the Drug Abuse Screening Test (DAST) The Alcohol Use Disorder Identification Test (AUDIT), and the American Society of Addiction Medicine (ASAM) Screening Tools. Reports will be provided to the attorneys, case managers, or to the courts. Please contact us by calling us at (703) 754-0636 or via email here to schedule an appointment.